The Unrecognized Files tab displays the list files that are identified as suspicious by Defense+. 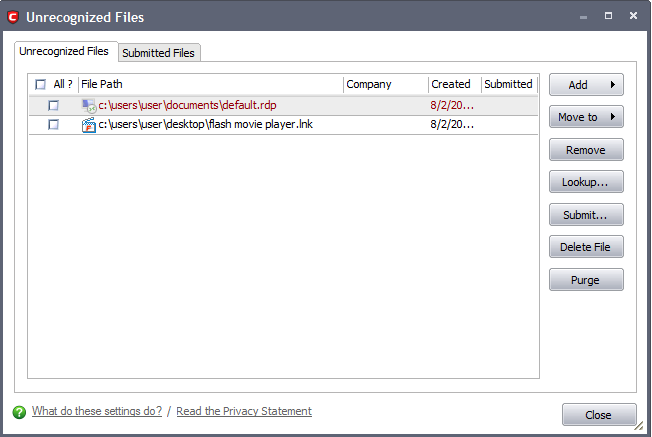 Also you can manually add suspicious and unclassified files to this area for later submission to Comodo for analysis. 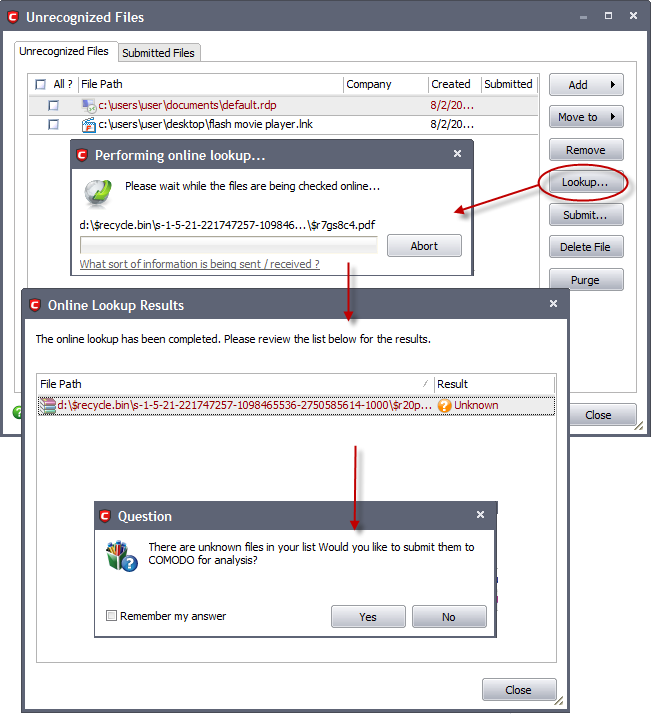 After sending the file to Comodo, our technicians determine whether or not it represents a threat to your security. If it is found to be trustworthy, it is added to the Comodo safe list. 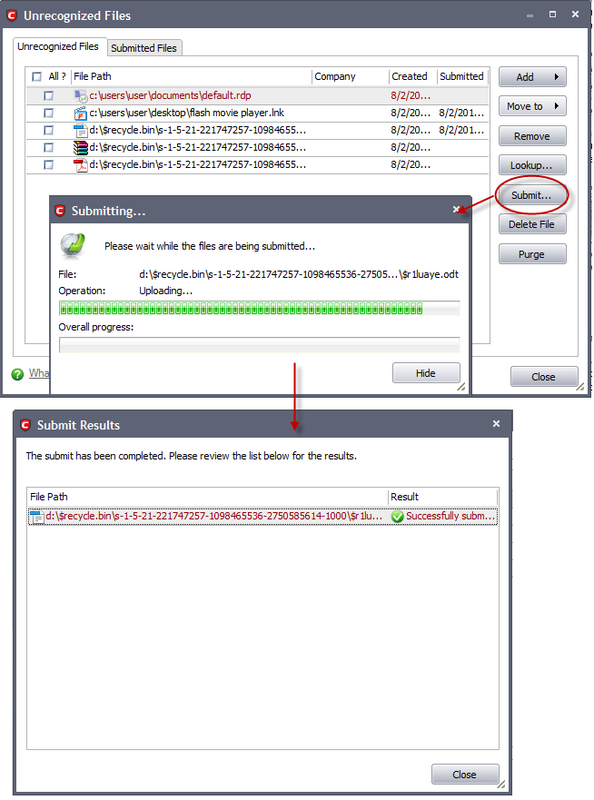 You can also directly submit the files to Comodo from this area. You will see a progress of file submission and on completion, the submission results will be displayed. You can see the file under Submitted files tab. Files can also be transferred into this module by clicking the 'Move to...' button in the 'Trusted Files' area.